You can’t help who you fall in love with. Hope’s whole world is turned upside down when she’s forced to live with her estranged father, who she hasn’t seen in years. To make matters worse, she’s warned to stay away from the handsome young man living out back in the pool house. Chance is running from his past; a past that would cause any father to be concerned. When sparks fly between them, they begin sneaking around to be together. 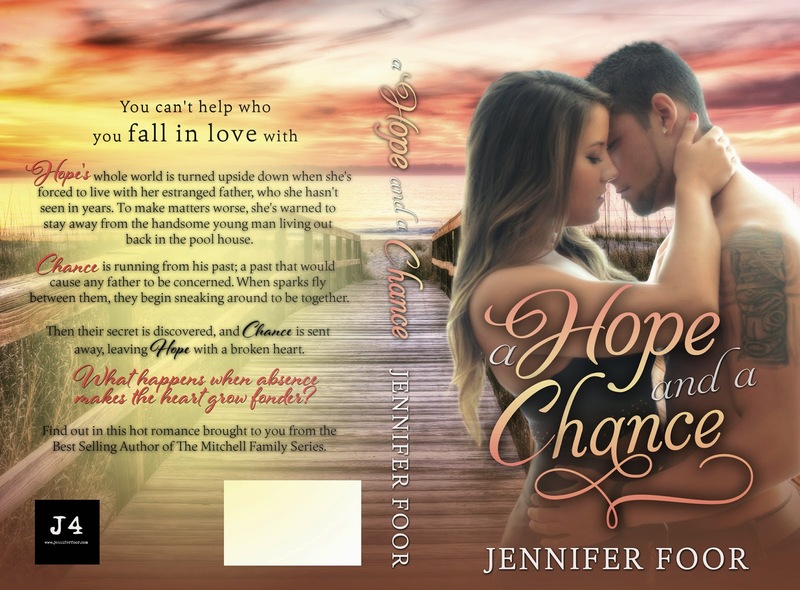 Then their secret is discovered, and Chance is sent away, leaving Hope with a broken heart. What happens when absence makes the heart grow fonder? Best Selling Author of The Mitchell Family Series.